Hi craybait. long time no see, Have you started on the rebuild yet? whats ur city collection like these days. I'm getting started on rebuilding my cabrio at the moment so it would be good to catch up. To answer your question about brakes, doing a search it seems to be all down to the top hat height for all the bolt on upgrades. 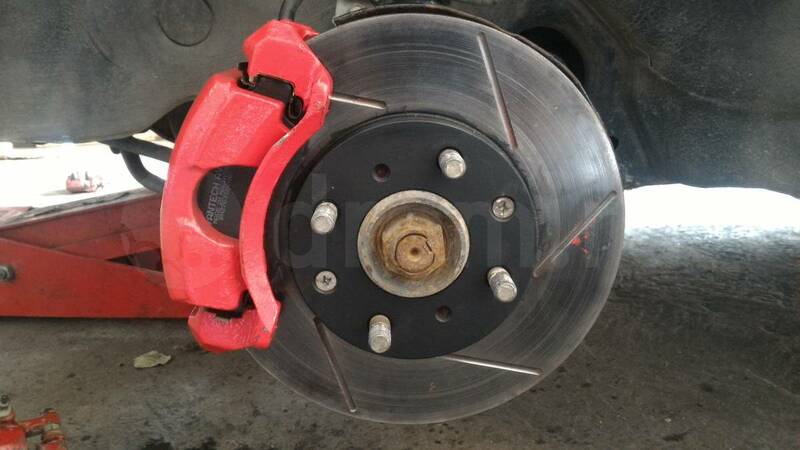 people have mentioned civic, crx, prelude & accord, with various rotor & caliper combinations & favoring the si models. My thinking is as long as the calipers clear the rims (stick on wheel weights included) & you don't mind fabing up some caliper adapter brackets, any 4x100 rotors with the correct center bore will work. I just had to pull apart and clean my twin pot accord brakes this morning, one of the slides had gummed up so the front left wasnt working properly :/. 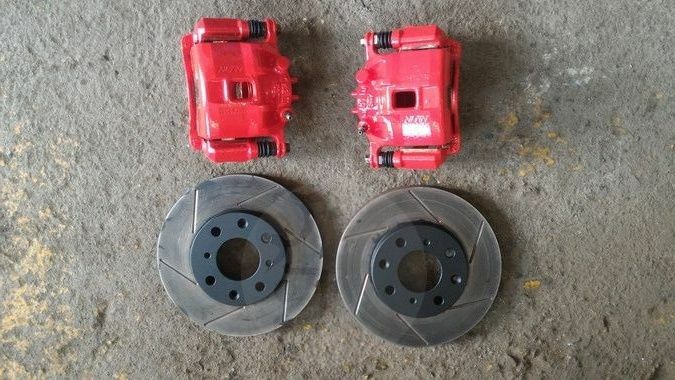 Damn good brakes tho, and pads are cheap as chips and commonly stocked.